The AIC will publish a book version of the Revelation series following completion of the final episode in the video series. I expect this will be late this Fall. I have been in contact with the Bamberg State Library to obtain approval of the use of higher-resolution digital images from the original manuscript. The completed book might be available before Easter 2016 A.D. 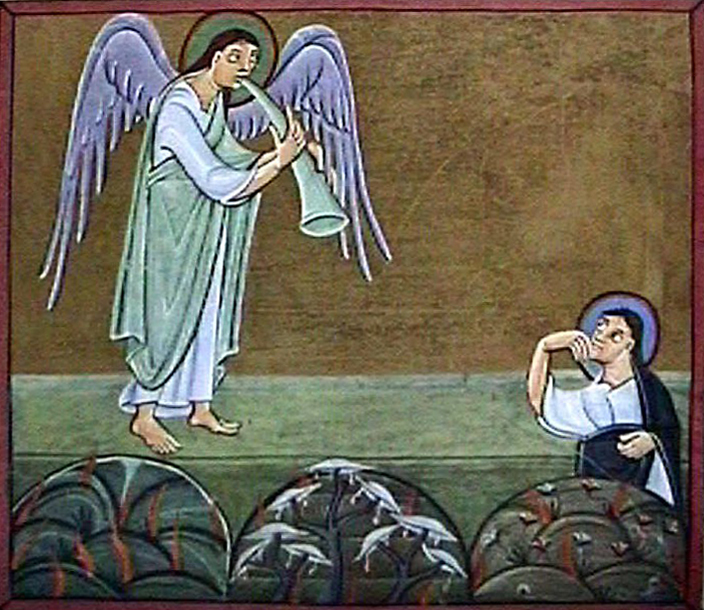 The illustration is the First Trumpet, using a low-resolution version available on the web. The originals in their digital version clearly reveal much more of the detail and the spectacular gilding.